Hide deals from category "Seafood"
Limit 1 per person. Valid on seafood cocktail items only. New customers only. Dine-in only. Promotional value expires 30 days after purchase. 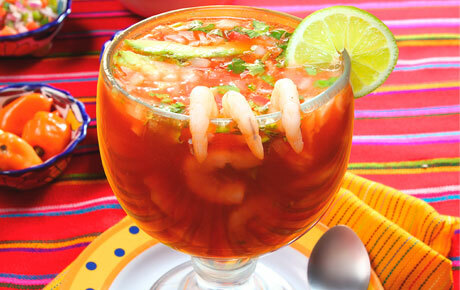 Dive into exciting food this Fourth of July with 50% off seafood cocktails from Mariscos El Amigo in Hanover Park ($20 value). In business for 17 years, Mariscos El Amigo is known for its incredible Mexican seafood dishes. The entire staff at Mariscos El Amigo treats the restaurant like its own home and the customers like family. They provide topnotch service in a festive, welcoming atmosphere. Mariscos El Amigo offers a variety of Mexican classics like fajitas and enchiladas, but it's the seafood that steals the show here. This deal is valid for shrimp, octopus and oyster cocktails, available in small and large sizes to satisfy any appetite. You can also opt for the vuelve a la vida or "return to life," a popular Mexican seafood cocktail made with shrimp, octopus and oysters.